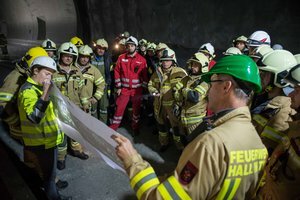 On Saturday, October 8th, a large-scale training exercise for rescue and firefighting forces took place in the rescue tunnel of the Brenner Base Tunnel near Ampass and Tulfes. Over 100 rescue personnel took part in drilling for various emergency scenarios. 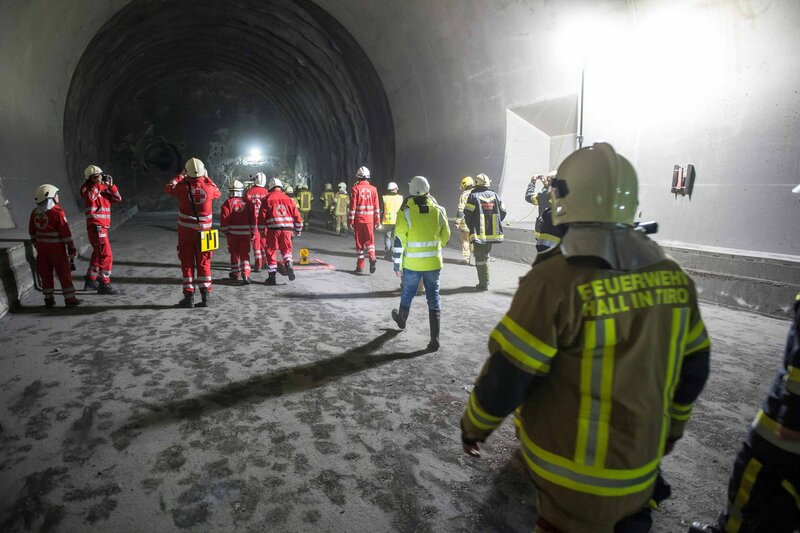 Together with ÖBB, the BBT SE project company and the Strabag/Salini construction companies, the underground parts of the Brenner Brenner Base Tunnel were examined and the safety systems were tested and checked. A real emergency alarm was simulated, meaning that everyone concerned had to implement rescue and emergency procedures such as evacuating underground personnel in case of fire. 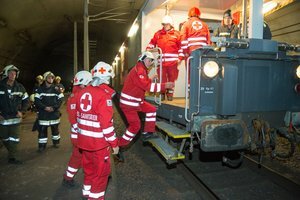 The miners escaped to the rescue container, which guarantees a safe refuge for 24 hours and fresh air even if the surrounding area is full of smoke. 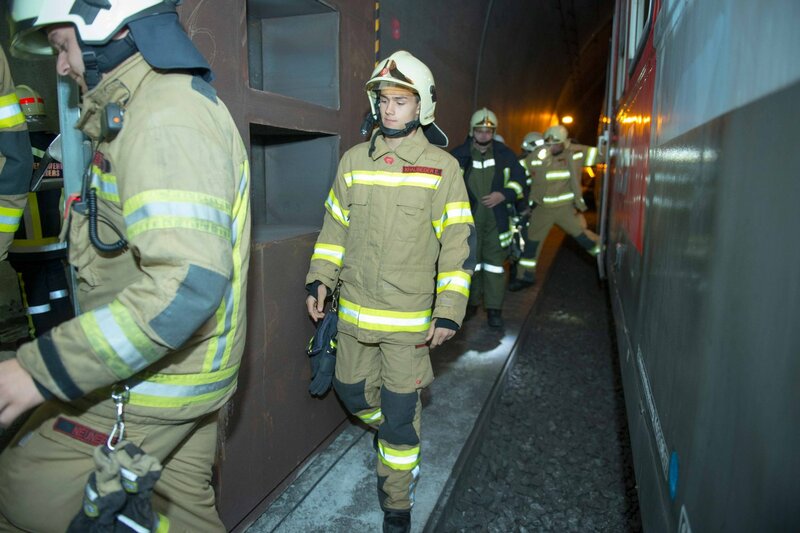 Here, the miners waited for the rescue forces. 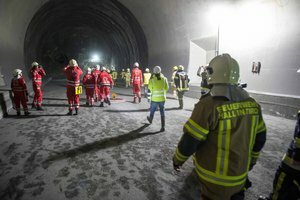 Rescue procedures were drilled for the southern part of the Innsbruck bypass as well. 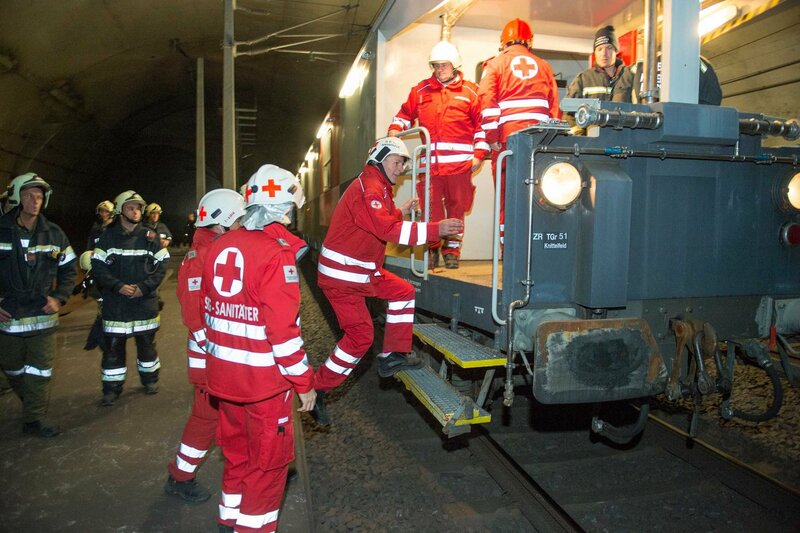 Two ÖBB rescue trains drove through the tunnel and simulated the evacuation of workers from the rescue tunnel which runs parallel to the bypass itself. 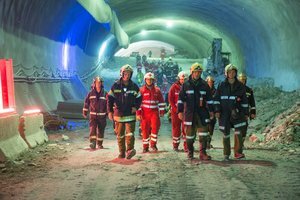 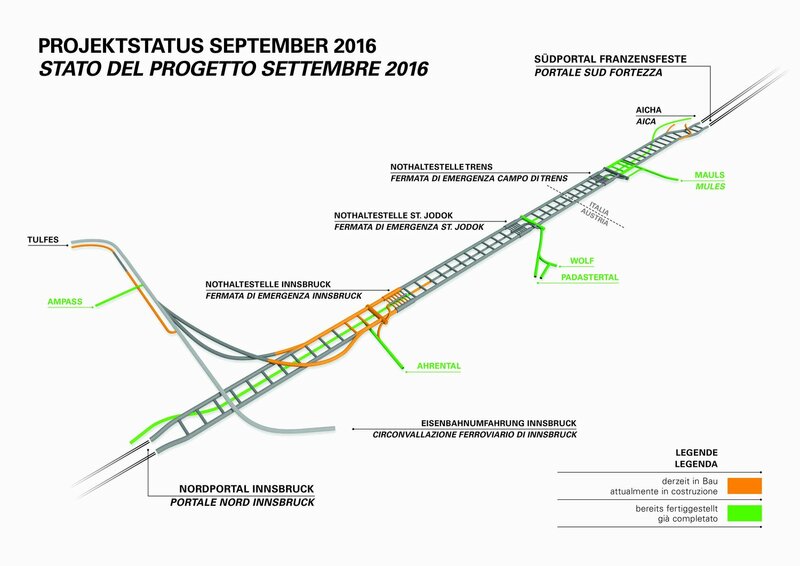 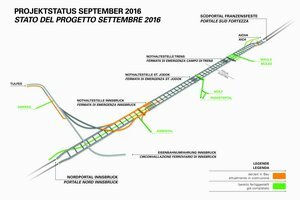 So far over 57 km of tunnels for the entire Brenner Base Tunnel project have been built. 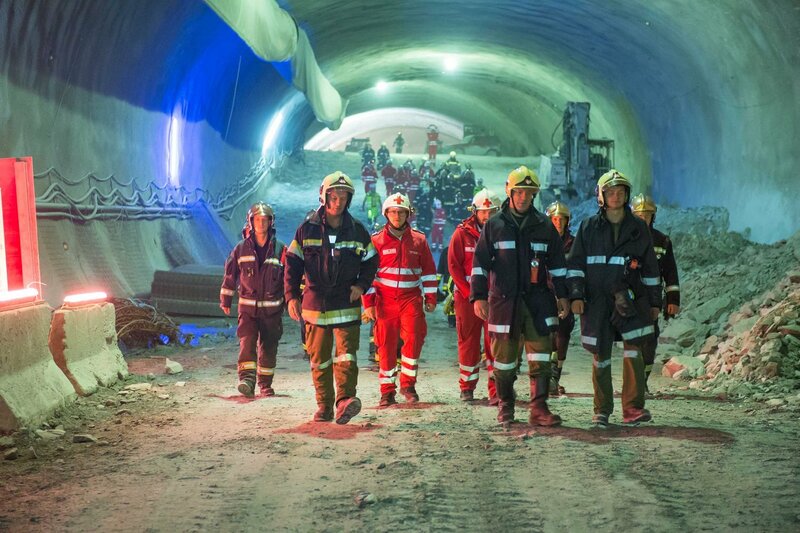 This is 25% of all the civil engineering works for the Brenner Base Tunnel.